Last Minute Moves Are Always Welcomed And Accepted. 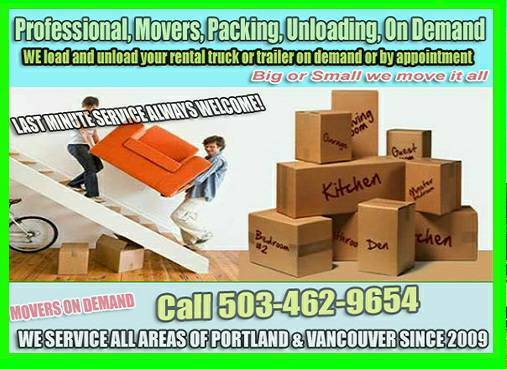 "My Dependable Movers" Provides A Professional Moving Experience Each And Every Move Performed. We Provide True Moving Professionals. Fast Moving Professionals Are Available On Short Notice. 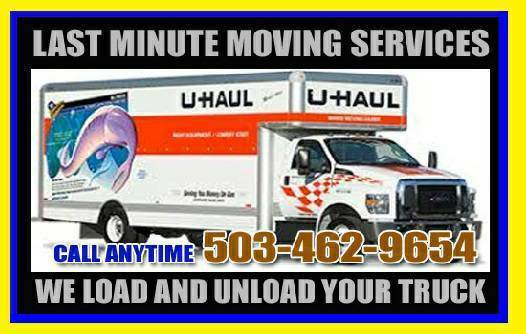 We Only Dispatch And Bring The Healthiest Qualified Trained Expert Professional Movers Available Living Here In Oregon And Washington. All Of Our Movers Have Been Screened And Have Passed Our Safety Screenings And Test. Every Single Mover Of Ours Is Able To Lift 100 Plus Pounds Repeatedly And Correctly, In Most Cases All Day. Yes Our Movers Are Athletes!!!! We Pack And Load Your Rental Truck, Pod, Storage Unit. Yes We Do Staging As Well. Big Or Small We Move It All. There Are No Moving Companies Out There More Dependable Than "MY DEPENDABLE MOVERS"
We Pride Ourself On A Large Repeat Client Base And A Level Of The Highest Customer Service Starting The Moment You Call Us. We Pride Ourself On A Professional Knowledge And Know How To Pack Your Moving Truck, SO TIGHT YOU WONT BE ABLE TO BLOW AIR INSIDE THE BOX TRUCK. We Do Not Waste Space!!! !